This is a list of movie recommendations of movies similar to Zombieland. Bear in mind that this list is in no particular order. For the past 60 years, a wisecracking alien named Paul (Seth Rogen) has resided at a top-secret military base in America’s UFO heartland. 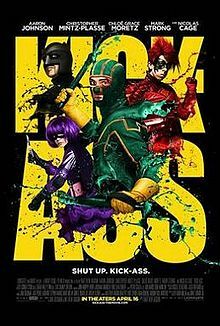 When Paul decides he has had enough of Earth, he escapes from the compound and hops on the first handy vehicle — a rented RV manned by two British sci-fi nerds named Graeme (Simon Pegg) and Clive (Nick Frost). With federal agents and the father of an accidental kidnap victim on their tail, the two hatch a crazy plan to help Paul return to his spaceship. 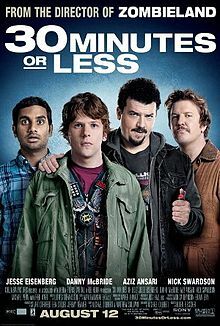 Nick (Jesse Eisenberg) is a pizza deliverer who lives a fairly ordinary, boring life — until he crosses paths with two aspiring criminal masterminds (Danny McBride, Nick Swardson), who kidnap him, strap a bomb to his chest and force him to rob a bank for them. Nick doesn’t get much time to pull off the difficult task, so he enlists the aid of Chet (Aziz Ansari), his estranged pal. As time ticks away, Nick and Chet face many obstacles, not the least of which is their volatile relationship. Four pals are stuck in a rut in adulthood: Adam (John Cusack) has just been dumped, Lou (Rob Corddry) is a hopeless party animal, Craig (Craig Robinson) is a henpecked husband, and Jacob (Clark Duke) does nothing but play video games in his basement. 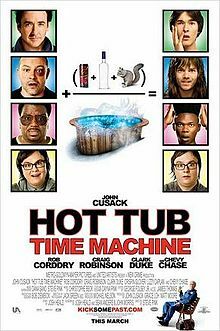 But they get a chance to brighten their future by changing their past after a night of heavy drinking in a ski-resort hot tub results in their waking up in 1986. 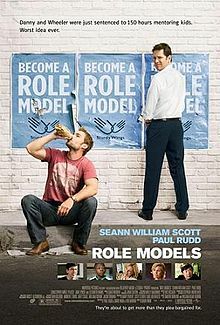 Shaun (Simon Pegg) is a 30-something loser with a dull, easy existence. 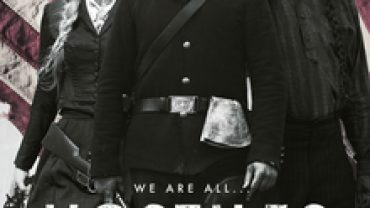 When he’s not working at the electronics store, he lives with his slovenly best friend, Ed (Nick Frost), in a small flat on the outskirts of London. The only unpredictable element in his life is his girlfriend, Liz (Kate Ashfield), who wishes desperately for Shaun to grow up and be a man. 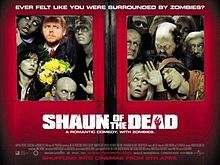 When the town is inexplicably overrun with zombies, Shaun must rise to the occasion and protect both Liz and his mother (Penelope Wilton). 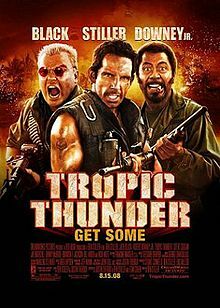 Recently learning that he has a fatal disease, comic George Simmons (Adam Sandler) spots a struggling performer named Ira (Seth Rogen) and decides to become his mentor. 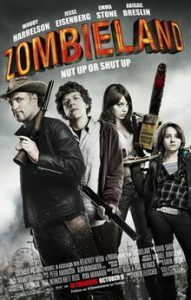 The men become close friends as George teaches Ira the art of stand-up comedy, and Ira helps George define his legacy. When an old flame (Leslie Mann) reappears and the disease goes into remission, George gets a chance to re-evaluate his life and figure out what is truly important to him. 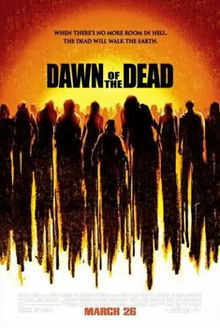 When her young daughter is turned into a zombie and attacks her father, Ana (Sarah Polley) just manages to escape, only to realize her entire Milwaukee neighborhood has been overrun by the walking dead. After being questioned by cautious policeman Kenneth (Ving Rhames), Ana joins him and a small group that gravitates to the local shopping mall as a bastion of safety. Once they convince suspicious security guards that they are not contaminated, the group bands together to fight the undead hordes. 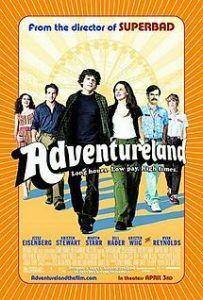 It’s the summer of 1987, and recent college grad James Brennan (Jesse Eisenberg) can’t wait to begin his long-anticipated dream trip to Europe. Unfortunately, James’ plans come to a screeching halt when his parents announce that they are unable to subsidize his trip. Forced to take a job at the local amusement park, James prepares for the worst summer ever, until he finds love with a captivating co-worker named Em (Kristen Stewart).